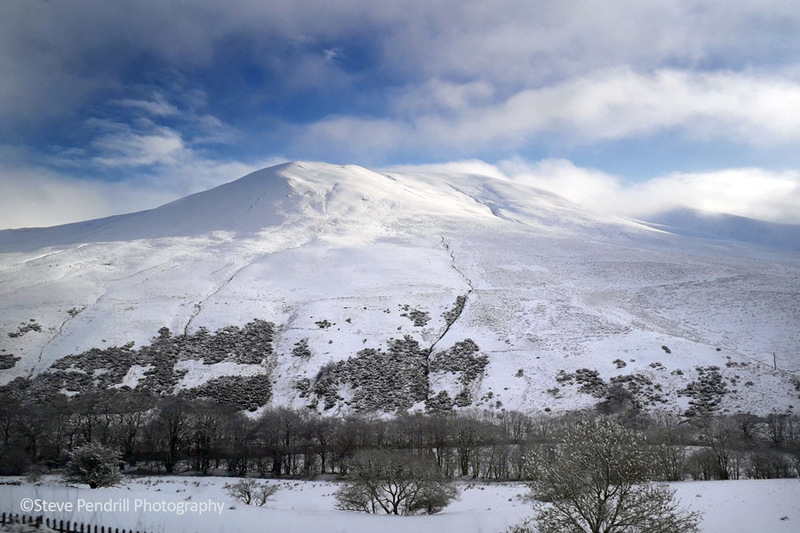 I perhaps give travel photography a slightly new meaning when I indulge in a bit of my lazy ‘armchair photography’ through the window of a train! I would however argue that a certain amount of skill is still required. 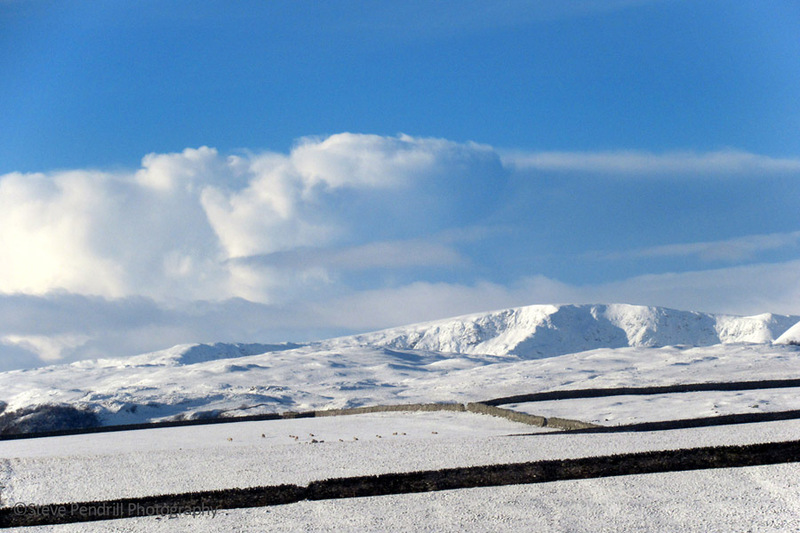 Snow covered Howgill Fells from the Lune Gorge. It’s not just about having a very quick eye at recognising an instant photo opportunity, but finding a clean patch on the window (a challenge if ever there was!) and ensuring that your camera doesn’t focus on the glass, giving you with a frustrating blurred landscape. With that last point, if you have manual focus, great. If not your compact camera may have a handy setting specially for snapping through glass. Alternatively put the camera right to the glass and it will normally focus on the outdoors (assuming the glass is relatively clean). 1) Try to predict what’s coming up. That means keeping one eye on the camera screen/viewfinder and the other glancing forwards out the window trying to avoid passing foreground obstructions and choose your moment to hit the shutter button. ie Look out for gaps coming up in between trees or between gantry, signs or signals. 2) If possible, select a fairly high shutter speed (at least 1/250) to reduce the risk of motion blur. To encourage a higher shutter speed than you may want if you were standing still, choose a higher ISO (even though this will marginally affect image quality if you are enlarging photos). 3) Be cautious if using a telephoto setting/zoom as you will increase the chance getting a blurred images (unless you have a very fast shutter speed). 4) You can experiment with panning the camera to follow the moving countryside. 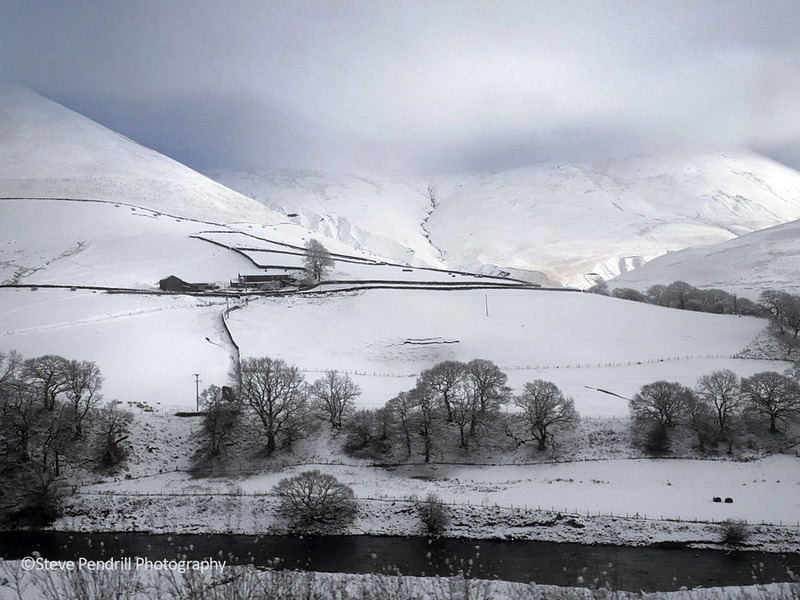 5) Look out for something a bit different/striking; eg solitary sheep/horse/farmhouse in a bleak landscape. 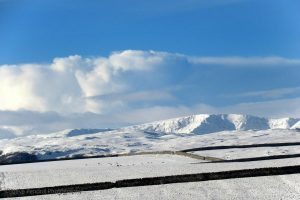 Snow showers brewing over The Howgill Fells. 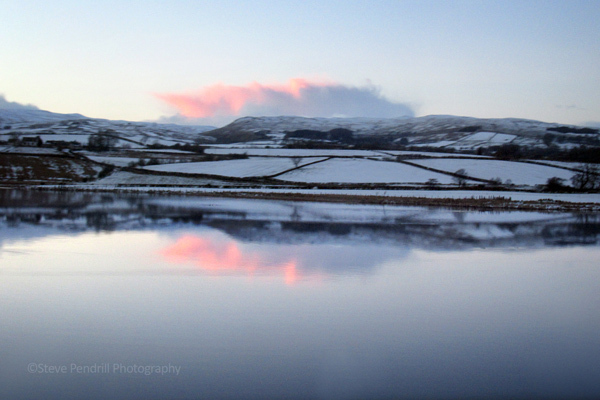 The River Lune is in the foreground. 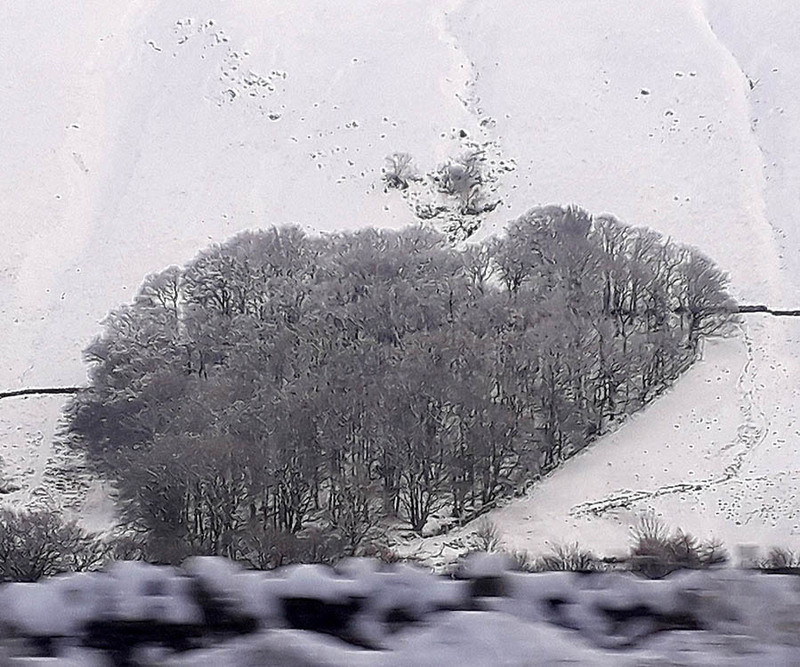 The observant among you may have noticed this heart-shaped wood near Tebay, visible from the M6 or train. Local legend has it that a farmer planted in memory of his wife, though there are several differing versions of the story. 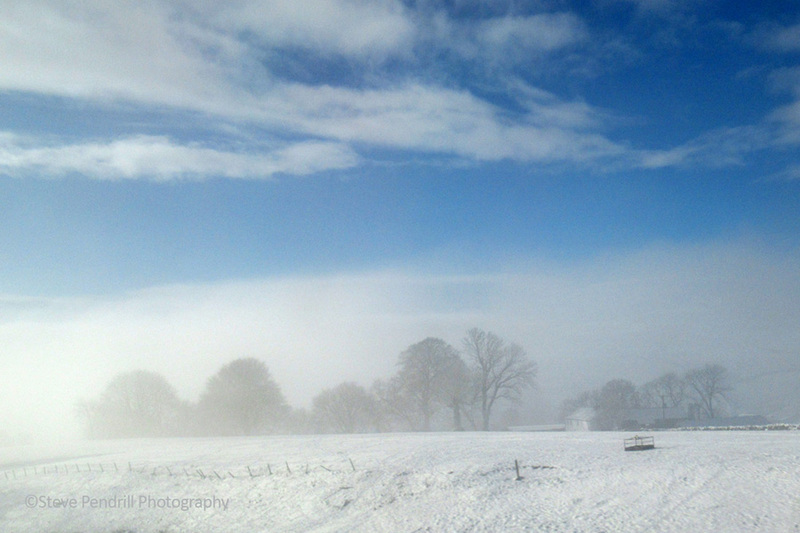 This was probably my favourite shot, taken as freezing fog begins to clear hazy trees appear below a beautiful blue sky. 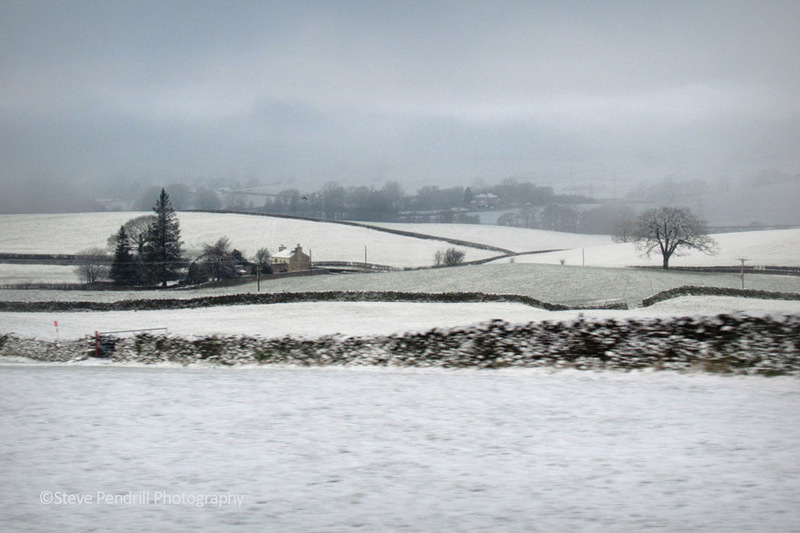 Stark snowy landscape near Kendal. 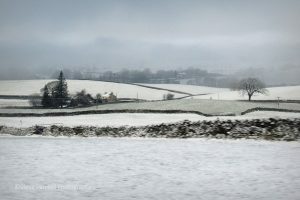 More snowy landscape near Kendal. Quiet road in the Nith Valley. 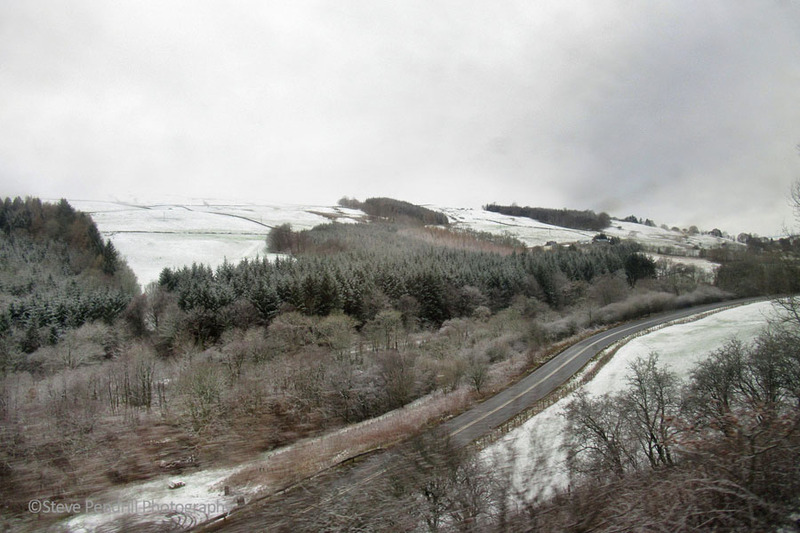 Having changed trains in Carlisle, my onward journey took me on the picturesque Dumfries line, northwest towards Glasgow. I snapped a shot of the wooded Nith Valley, liking the empty road indicating it’s remoteness and giving the photo direction and depth. My final train window photo was a bit of a struggle. The light was rapidly disappearing but I couldn’t resist trying to grab a shot, albeit slightly unsharp, of the reflection in the water. I also like the little smudge of colour in the sky from the setting sun. This was taken on the train between Ayr and Glasgow as it heads towards Paisley. Time to put the camera down and read the paper!